THE WORLD'S biggest smartphone maker has apparently "spoiled" some of its own forthcoming announcement overnight, as Samsung revealed video and details about two new tablet computers. The official leak comes a week before Samsung's much hyped New York event, where the company is expected to unveil a new Galaxy Note smartphone and had been tipped to launch tablets, a smartwatch, and potentially its first smart speaker. But the South Korean tech giant quashed those rumours by releasing footage and specifications of the Galaxy Tab S4 premium tablet and a "budget-friendly" Galaxy Tab A 10.5. "At Samsung, we believe tablets play an increasingly important role in making lives easier and improving the mobile experience for everyone," president DJ Koh said at the surprise announcement. The company's new flagship Android tablet computer will go head-to-head with Apple's iPad Pro tablets. 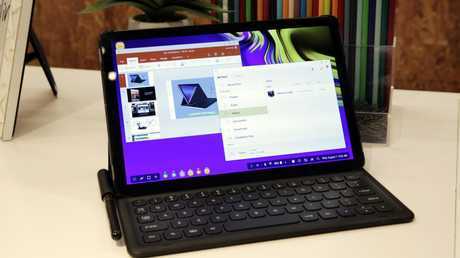 Like its rival, Samsung's new tablet features a 10.5-inch (26 cms) screen but, unusually, adding a Book Cover Keyboard case can transform the tablet into a laptop-like device with app windows that can be resized on its screen. 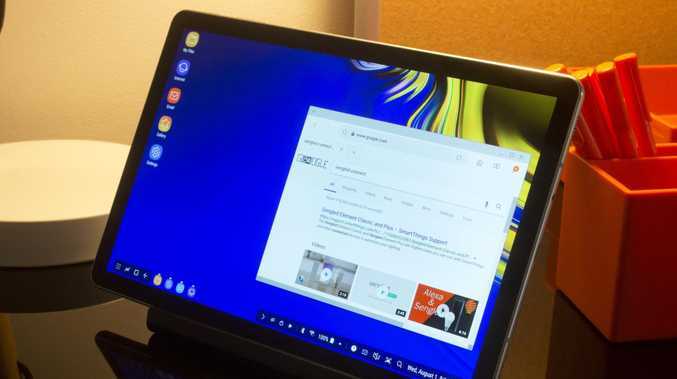 Users can also connect a wireless mouse to use the tablet like a notebook computer, or hook up a computer monitor to use it like a desktop PC. Prices and release dates for both Samsung tablet computers have yet to be revealed, and may not be announced ahead of the company's August 9 event. 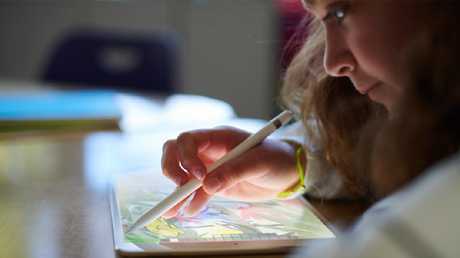 Apple's new 9.7-inch iPad support pen input for the first time and comes with a faster chip. The tablet is selling well, according to figures from IDC. The company came a distant second to Apple in the tablet race during the first three months of the year, according to IDC, selling 5.3 million tablet computers compared to Apple's 9.1 million iPads. The research firm also noted that "barring any significant changes, maintaining its position in the premium space may prove challenging" for Samsung, even though it was one of few remaining companies to produce high-end Android tablets.